Warhammer 40k Orks (and more): Does anyone still think they can win in the assault phase? Does anyone still think they can win in the assault phase? 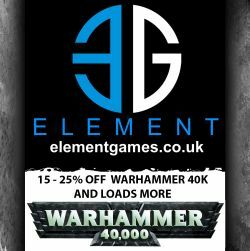 I've been thinking a lot lately about 40k and the so-called "meta game". If you had not noticed, the game has become dominated by the shooting phase. When 5e first came out, there was a lot of talk about how deadly assaults were compared to 4e, even despite losing the sweep into a new assault. The first big list of 5e was nob bikers. Capable of wiping an entire army in assault. And it worked. Nob bikers actually caused a shift in the meta game, a shift to more shooting. Very few units, much less armies, can deal with Nob bikers in assault. However a lot of armies can field a crap ton of S8 shooting, giving nobs a real big problem. Also, it turns out, anything that is a threat to Nob bikers also does really well against vehicles. Next in evolution, there was the mech IG lists often (if not frequently mistaken) called "leafblower" lists first made popular on BoLS. The idea of the list was pretty simple, a whole lot of downrange firepower from many sources each of which isn't that crucial and has lots of redundancy. They worked, and still work. Melta vets in a chimera runs a wopping 155pts. Really? Manticores, hydras, etc, all with the purpose of making you roll as many dice as possible. However, IG really lacks any defense against CC, and if you can get there, you can win. It wasn't long before a decent counter came out: Space Wolves. Space wolves came and presented similar firepower with long fangs + razorbacks yet didn't fold like wet tissue in assault. If used as a primarily shooty army, with cc as "mop-up" only, Space wolves are hard to beat to this day. Even I have abandoned CC as a primary source of damage with what is probably the only pure CC army in 40k...Orks. I've gone to a heavy, heavy shooty meta-denial list and play style. And it works. Fabulously! Now we have Grey Knights which is on par with Wolves in shooting (if shorter range) and even better at the CC mop-up due to the all power weapons thing. GK continue to excel not as an assault army, but again primarily shooting with enough CC ability. What can we conclude from all this? The current state of 40k is simple. Games are won or lost in the shooting phase. Roll better on the vehicle damage table, you are likely going to win more often then not. Does not matter on the rest of the rolls, just the ones on the damage table. For example, just tonight my cousin was playing Deathwing vs DE. He lost, not because he played bad or shot bad, but simply could not roll enough wrecked/explode results on the DE vehicles. They were stunned a lot..but who cares (especially since it was annihilation). I'm not saying that you can't take out vehicles in assault, in fact I depend on being able to do so. What I am saying is that you can't win a game just from assaulting things. You have to be able to shoot at least as well as you assault..and vice-versa. What does this mean for 6th? That somehow the shooting phase needs to be toned down, while at the same time making it easier to take out vehicles with average rolling. In other words, fewer rolls on the damage table, but taking a vehicle out of the game more often per roll. Warboss and Troll done, boys under way..
Too busy painting to update..
More changes to the Blood Angels..
50+ models in 30 days! Yay I finally beat Dark Eldar!